Jumpin' Electrons - I get so excited when I get my first whiff of sizzling solder! 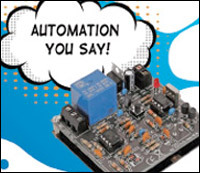 I have packed this adventure full of electronic projects perfect for everyone! 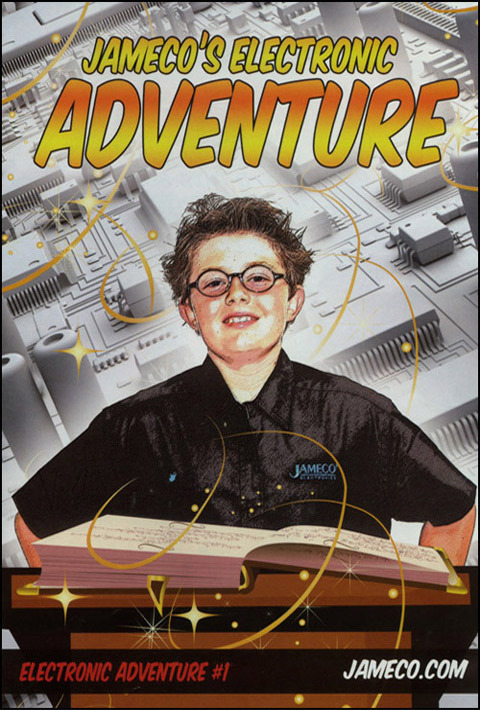 In the electronic adventures ahead, Jameco provides step-by-step instructions for every project. Follow the links for each exciting recipe and open the door to your next cool creation! 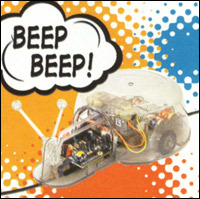 Cybug Scarab is a light-sensing robot that's capable of moving with its super sensory antennae! H2GO Hybrid Electric Hydrogen Vehicle is a real-working scale model version of laboratory vehicles. 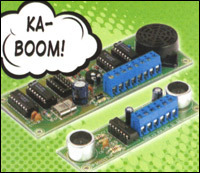 FM Radio Kit - learn about FM receivers and have a radical little radio when you're finished! 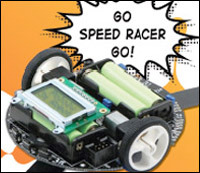 The Line Tracing Snail uses a super special LED sensor to follow any line you draw - how far will your line go? 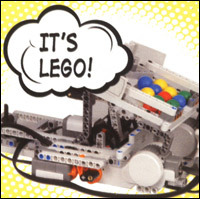 LEGO Mindstorms NXT 2.0 is back and better than ever - it takes building to the next level! 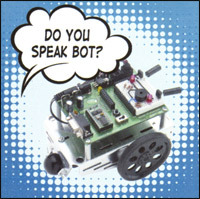 Boe-Bot Robot is a reprogrammable robot kit. 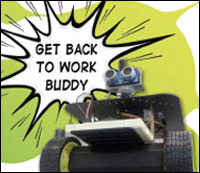 No previous robotics or programming experience required! 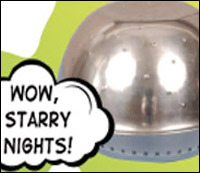 Parking Radar Kit will save you the agony of another dent! Using ultrasonic sound waves so you can steer clear. 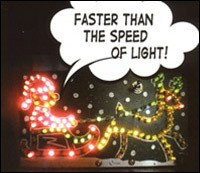 Riding Santa Sleigh and Reindeer LED Kit has over 100 multi-colored LEDs to cheer on any holiday season. 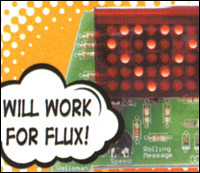 Scrolling Message Kit - have fun building your own moving message machine using 35-LEDs ! Bulbdial Clock functions like a sundial except it uses colored LEDs to cast a shadow instead of the sun. 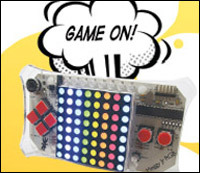 Meggy Jr. is a handheld platform for developing your own pixel-scale video games. 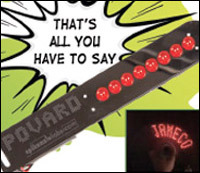 RFID Security Light Kit can add a high-tech spin to some of your daily tasks. 3-Pi Robot is at its heart an Arduino, making it open source and able to be programmed to do anything. J-Bot 2 is a bigger and better J-Bot that can talk. 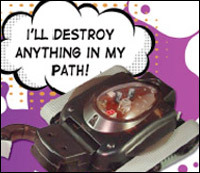 Kabuto Mushi can move and pick up things with its claw. Point of View will display one slice of a letter at a time, and your brain combines the slices allowing you to see the message. 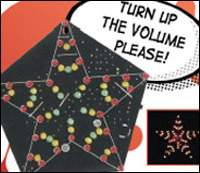 LED VU Meter is something that tells you visually the volume level of a microphone. Indoor Night Sky is using a few electronic components and some common household materials.